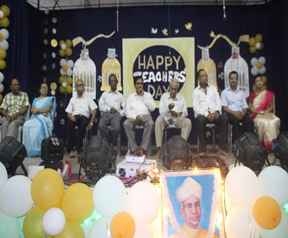 Teachers’ Day was celebrated with great elation in VKV Golaghat and the students of class X and XII were the hosts for the occasion. The day began with the teachers’ assembly followed by the classes which were taken by the students of X and XII. 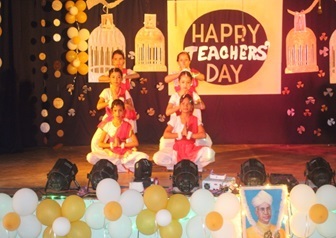 They played the role of teachers and taught various subjects to their juniors. This helped the students to comprehend the dynamism and responsibility of a teacher inside the classrooms. All the student teachers including the juniors took pleasure in this wonderful experience. 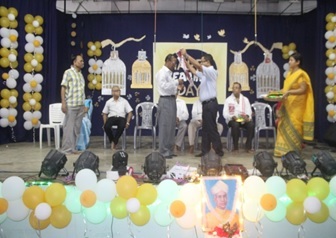 This year the Vidyalaya invited the former teachers of V.K.V Golaghat and few eminent teachers of the town to honour and felicitate their efforts in the field of teaching.The rainbow of various cultural programmes prepared by the students started at 12 p.m. 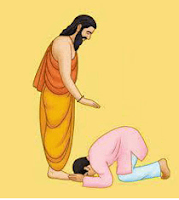 The hard slog and practice executed with finesse by the students. The programme started with “Guru Vandana” followed by the felicitation of the chief guests, guest of honor and all the teaching and non-teaching staff of the Vidyalaya.